Creating a Fine dining experience is hard to achieve when all you have are photos and short "how to" videos to mimic. 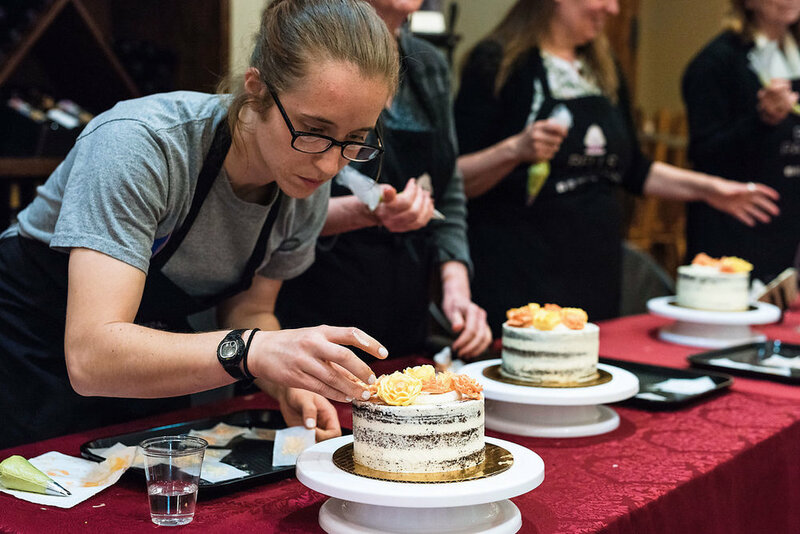 Learn from Pastry Chef Jasmin Bell how to create those same beautiful desserts hands on. Every class is a new experience. 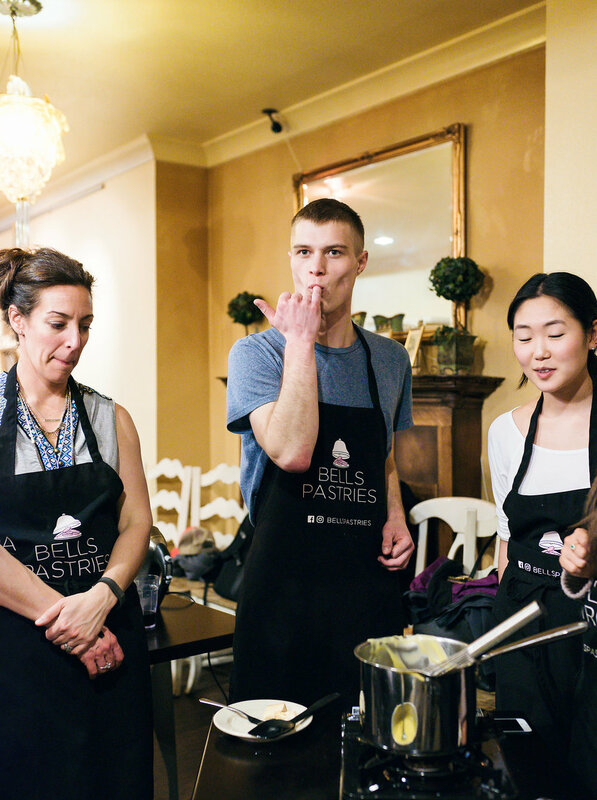 Join a class that inspires your inner-chef, or host a class for you and friends— fun is bound to happen. 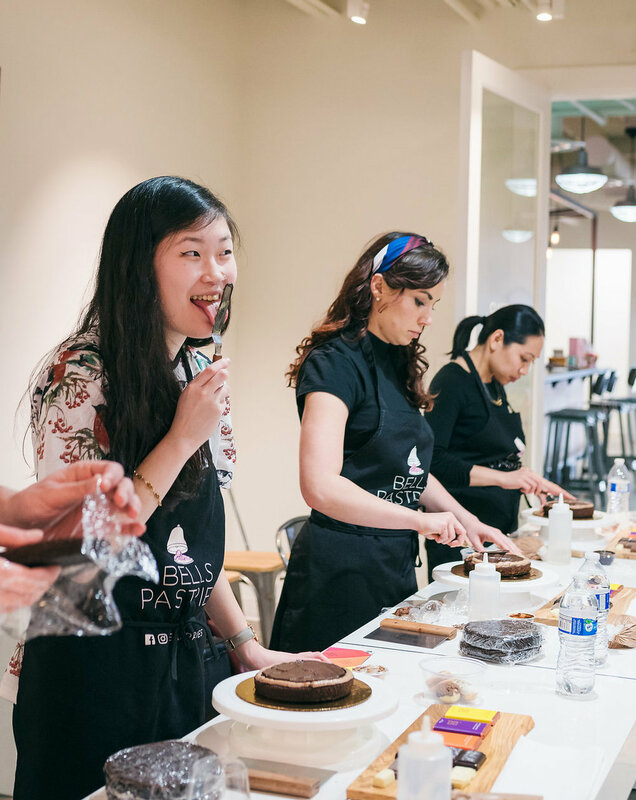 Bells Pastries is a 3-hour hands-on chef led experience, starting and ending with fun. A monthly selection of Pop Up classes are set up, giving you the option to join a class that best inspires you. And best of all, at a Pop Up location near you! Each class will present a different theme of the evening, where you learn valuable tricks and techniques you can use at home. 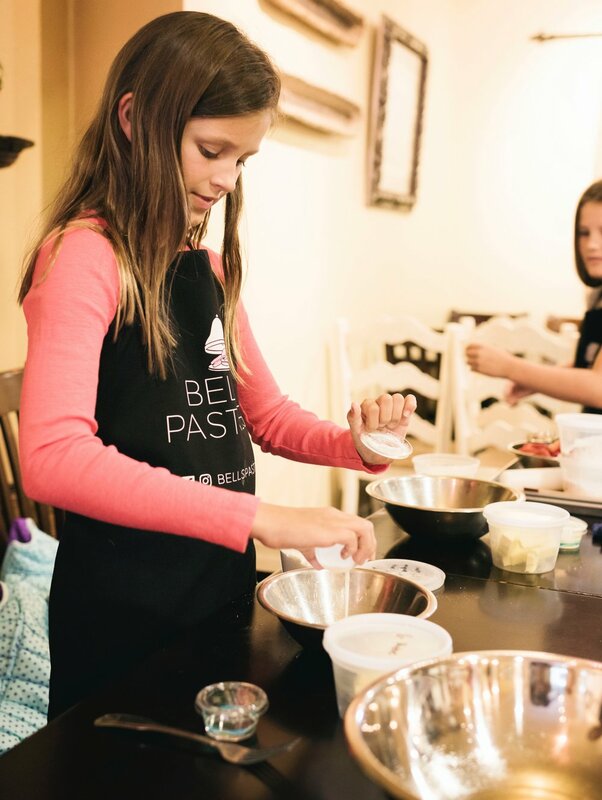 Classes are thoughtfully designed to help you learn the art of pastry at any level. These classes will inspire your inner-chef allowing you to replicate these exact recipes at home, without a glitch. Groups will be instructed with step by step demonstrations on how to prepare items in said lesson. Everyone will be involved which will result in a fun time. Learn how to create remarkable desserts using ingredients and equipment everyone has access to. Chef Jasmin will teach you new techniques and helpful tricks that are used by professionals in a commercial kitchen, and easily transition those skills into a household kitchen setting. 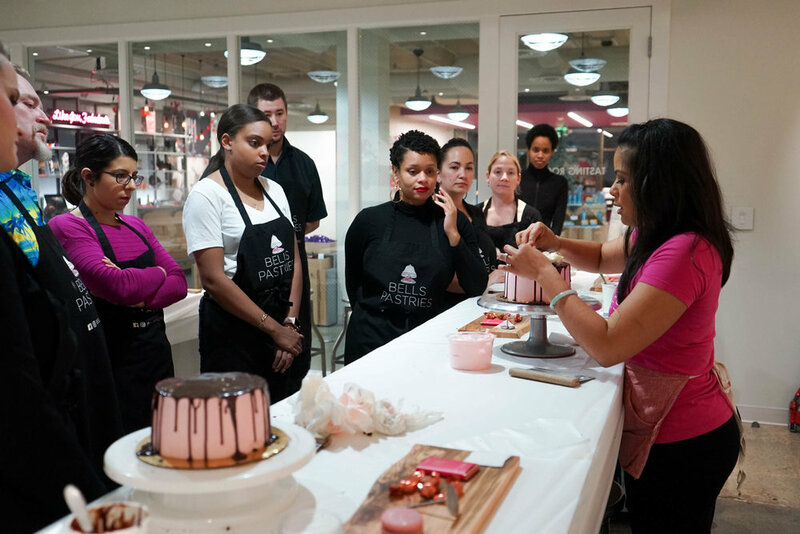 At the end of each class, participants will get a chance to showcase their masterpieces, as well as indulge. Jasmin has been featured in several magazines, newspapers, local televised segments, and most recently on National Television with Food Network, as Season 3 Winner of Halloween Baking Championship (Oct.2017), as well as a Finalist, runner up on a special edition of- Chopped Desserts (Dec.2015). 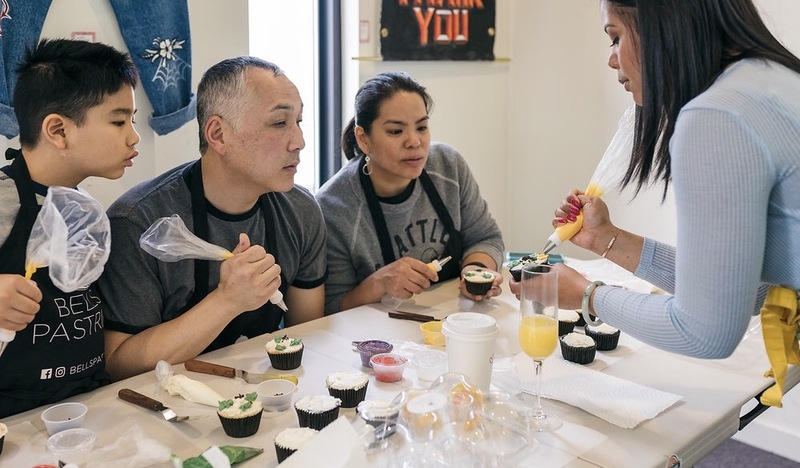 While utilizing her education from the University of Arizona with a bachelors in Fine Arts, Pastry Chef Jasmin Bell is on a mission to share her artistic talents and passion for food with the new generation of "Foodies".